“Hinata-chan” was just one month old when we first met her in July. 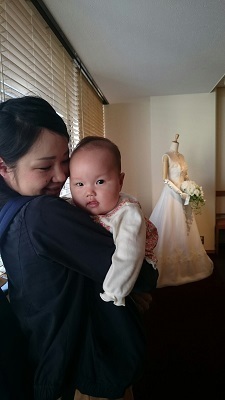 “Hinata-chan” is four months old now. She is now growing up supported by lots of love from her parents. 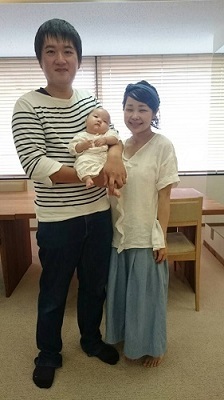 One of our staff H-san who had been on maternity leave came to see us at LST Kyoto Salon. Hinata-chan’s smile afforded us great comfort. I’m looking forward to see her again!